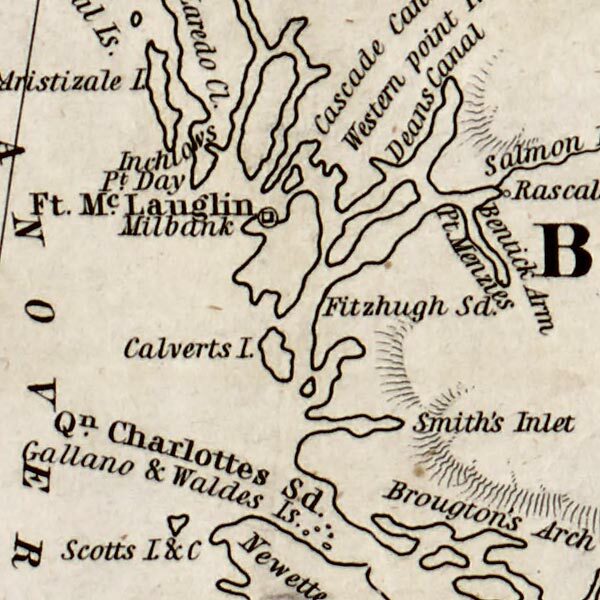 Washington Hood's Map of Oregon, showing nearby trading depots, from 1838. This map isn't part of any series, but we have other Oregon maps that you might want to check out. This is a map of trading depots in the Northwestern United States. It was made under the direction of J.J. Albert for the Corps of Topographical Engineers, the outfit that was to eventually become the U.S. Army Corps of Engineers. 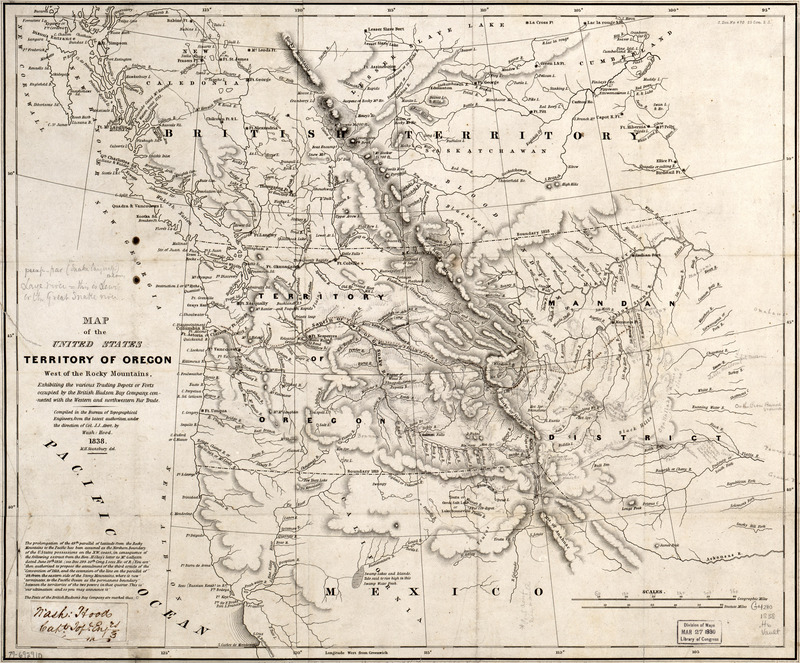 The map illustrates the various encampments and holdings of the Hudson's Bay Company, whose interests in the region were tied to the fur trade.